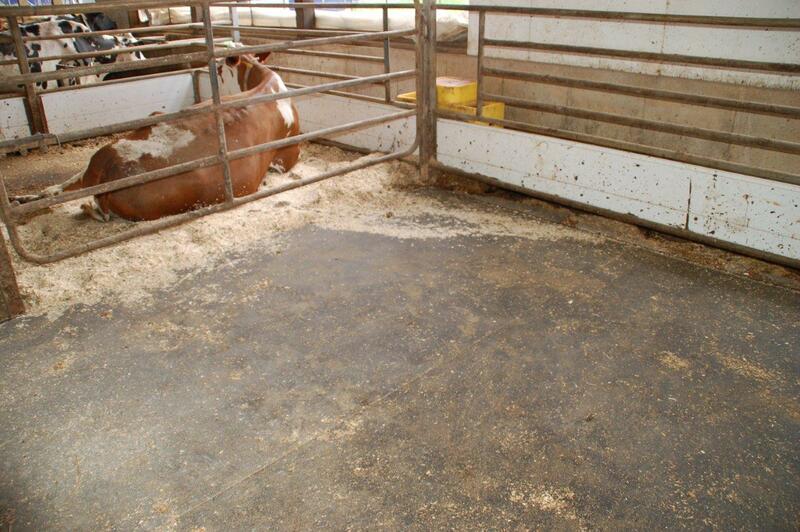 No matter what type of bedding or how good a manager you are, the area in the barn that causes the most headaches might be in the calving area. This area is usually a large, open space with crowd gate dividers for separating soon-to-be mothers where managers rely on a heavy pack of straw and other organic bedding materials to keep the area clean and cows comfortable – just like in the “olden” days. Despite the numerous advancements in design and integration of technology in other parts of the barn (think cow brushes or micro-sprinkler cooling systems), the calving area has remained pretty much unchanged since your grandfather’s days. And we still deal with the same issues as your grandfather – cleanliness, comfort, removal and replacement of bedding. At one of the most crucial and vulnerable stages in a cow’s, and especially a calf’s, life we rely on old technology. We at North Brook have been working on ways to improve this aspect of barn and cow management for quite some time. We think we have cracked the code to create a softer, cleaner environment for the future of your farm – your calves – to enter the world. Introducing the North Brook Farms Calving Pen Mattress System. North Brook integrates 21st century memory foam technology and advances in waterproof surfaces to reimagine how we manage fresh and calving cows. Instead of relying on a deep bedding pack, we replace bedding with a memory foam mattress system that supports laboring moms and creates a softer, more stable, comfortable surface for new calves to find their legs. The foam mattress is covered wall to wall with a single piece, waterproof topcover that can be customized to your space. We use our highly successful Alloy Top Cover in a single, factory seamed, wall-to-wall piece to meet your specific stall dimensions. This system also substantially lowers calf pen management costs by decreasing, and possibly eliminating, bedding costs as well as cuts back on the labor hours needed to clean the area between calving events. Instead of firing up the skid-steer and mechanically removing the bedding, the mattress system can be sprayed down with a pressure washer and even sanitized with a mild bleach solution to improve hygienic conditions and reduce infection rates. The Calving Pen Mattress System results in greater efficiencies in the calving pen, cleaner conditions for mothers and calves, and less labor for your hired hands. No matter what you have in your stalls, every dairy has a different and unique set of challenges when it comes to freshening your cows. North Brook has introduced new technologies to solve the very old frustration of deep bedded packs in calving areas. 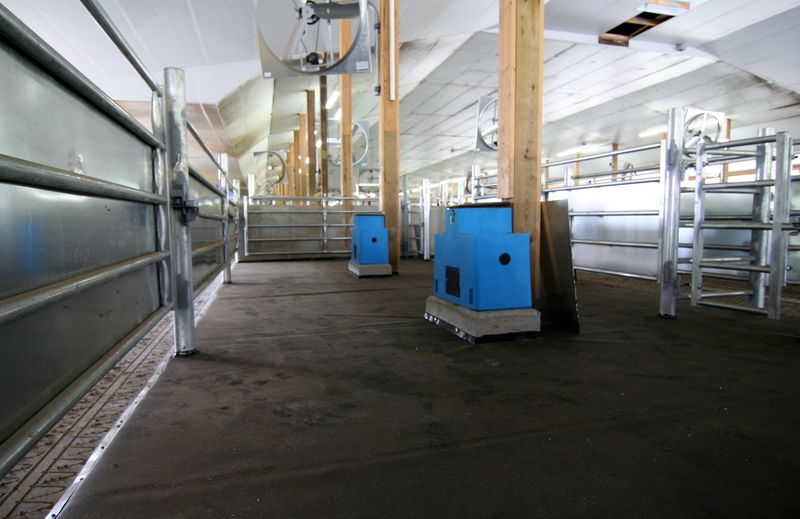 The Calving Pen System is meant to be a helpful tool to dairymen and make their operations more robust and sustainable for future generations of both family and cows. The calving pens are where it all begins, let’s get these calves off on the right hoof. We’re always looking for feedback on new products, so send me questions and comments and check out our website for more information. 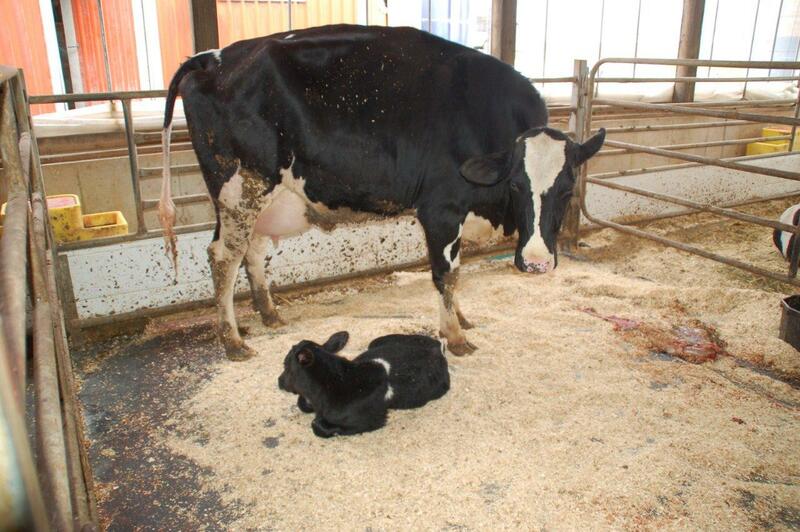 Newly installed calving pen at a local dairy in Central New York. June 2014.